A few hours ago, we covered a post which showed a new demo by Square Enix that was made using the latest DirectX 12 API from Microsoft and ran on the NVIDIA GeForce GTX Titan X. 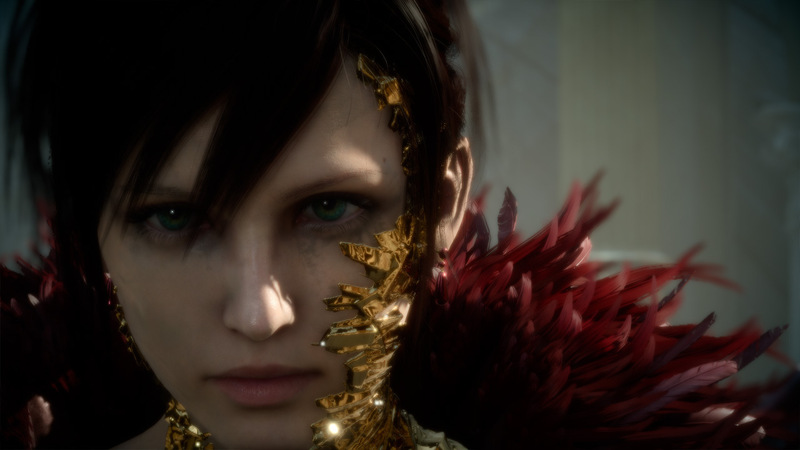 The demo showcased by Square Enix was based on the Luminous game engine which was displayed back in E3 2012 and has come a long way to fully adopt the DX12 API which will be available in games starting this year. 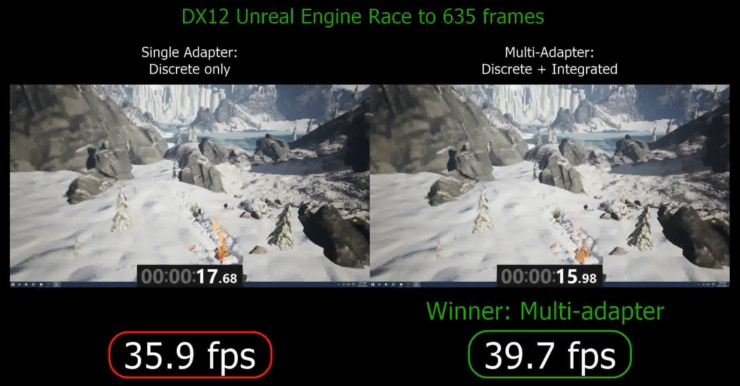 The more important thing which needs to be covered about the demo is a new technology called, DirectX 12 Multiadapter which was demoed and the results are quite amazing. 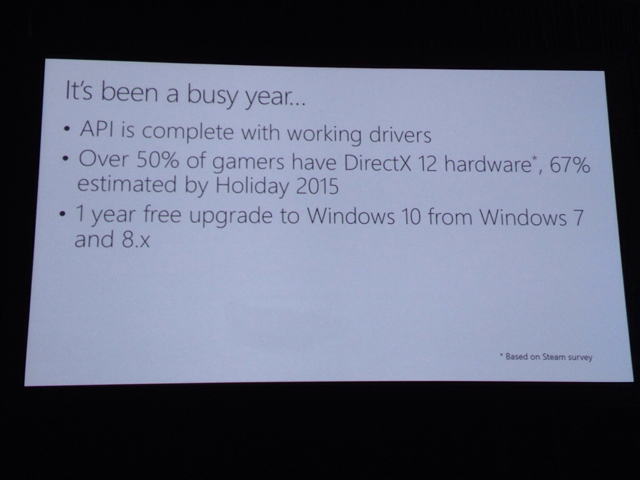 During Microsoft’s Build 2015 seminar, they showcased the new DirectX 12 “Multiadapter” feature which can be used to harness every dormant piece of silicon inside a PC. Nowadays, enthusiast PCs use beefy multi-GPU configurations which can add more performance to games but the entire portfolio of mainstream processors also feature a integrated graphics processing unit which is barely used by the masses. We can found integrated GPUs on mainstream CPUs, APUs and even laptops which have discrete graphics options. There have been technologies before which have tried to deliver a coherent link that enables to utilize both iGPU and discrete GPU such as Lucidlogix Virtu and AMD’s own dual graphics options which works on most of their low end cards however, there was never a case where integrated GPUs were linked with high-performance graphics cards. 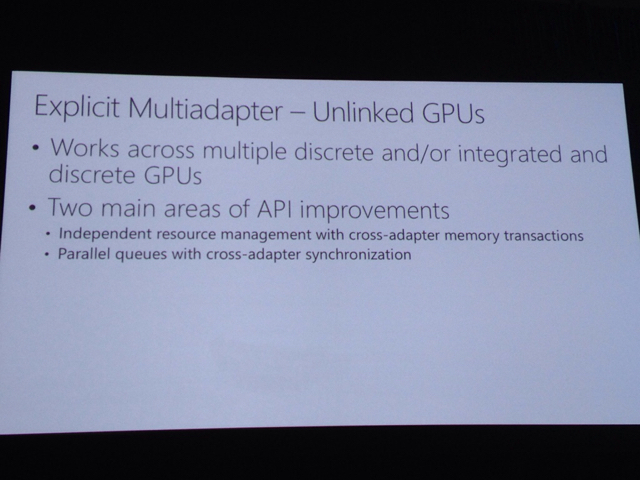 Microsoft’s DirectX 12 Multiadapter technology will try to create a specialized coherent link between all GPUs available on the PC to be linked together to boost performance in games. The demo showcased by Microsoft was created by Square Enix and titled as “WITCH CHAPTER 0 [cry]” (weird name for a demo) and ran off four NVIDIA GeForce GTX Titan X graphics cards. The demo featured 63 million polygons per scene and 8K x 8K highly detailed textures showcasing next level of details. 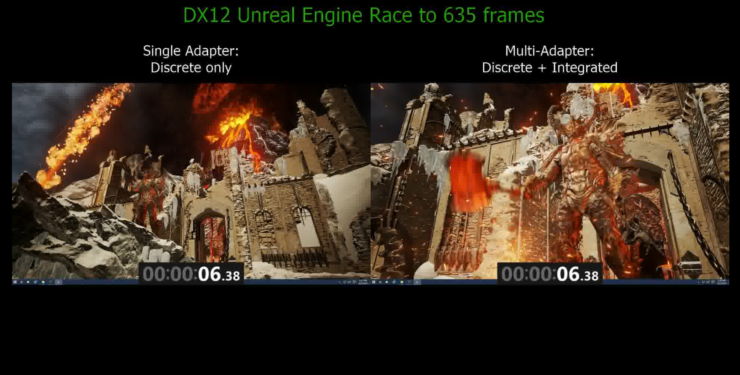 The DirectX 12 Mutliadpater while using both iGPU and dGPU also makes sure that multi-GPU configurations in Crossfire and SLI also work up to mark in addition to driver optimizations that are added by the manufacturer’s in monthly updates. Virtually every game out there makes use of postprocessing to make your favorite games visually impressive; but that postprocessing work doesn’t come free. By offloading some of the postprocessing work to a second GPU, the first GPU is freed up to start on the next frame before it would have otherwise been able to improving your overall framerate. The below image shows the real workload timeline of the Intel and NVIDIA GPUs (to scale). You can see how the workload that would normally be on the NVIDIA GPU is being executed on the Intel GPU instead. 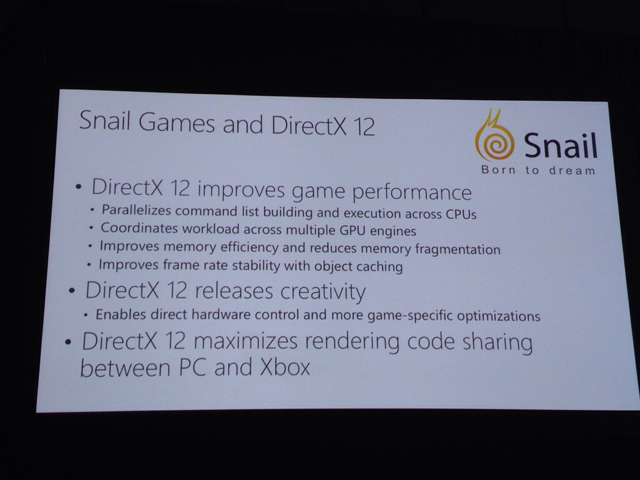 In the demo, we even make use of DirectX 12’s Multiengine feature to complement the Multiadapter feature. You can see that the copy operations on NVIDIA’s copy engine execute in parallel with the NVIDIA 3D engine operations improving performance even more. 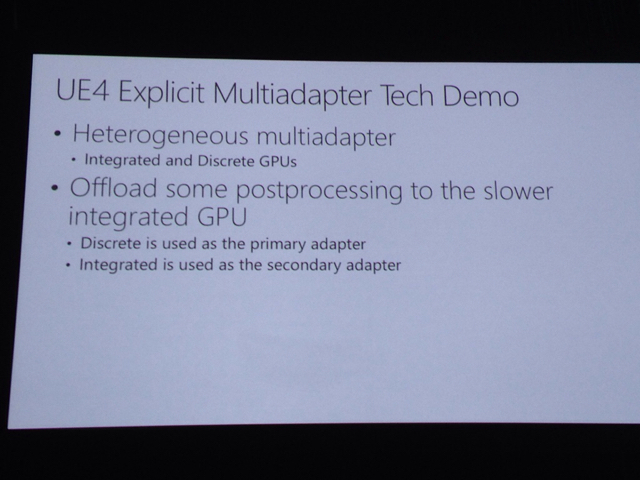 DirectX 12 Mutliadapter technology sounds great since it will allow PC users to actually utilize iGPU which is currently the least important piece of hardware in any enthusiast and mainstream PC. CPUs, APUs with these iGPUs will be able to be utilized in a way that they can actually add performance benefits to gaming titles. 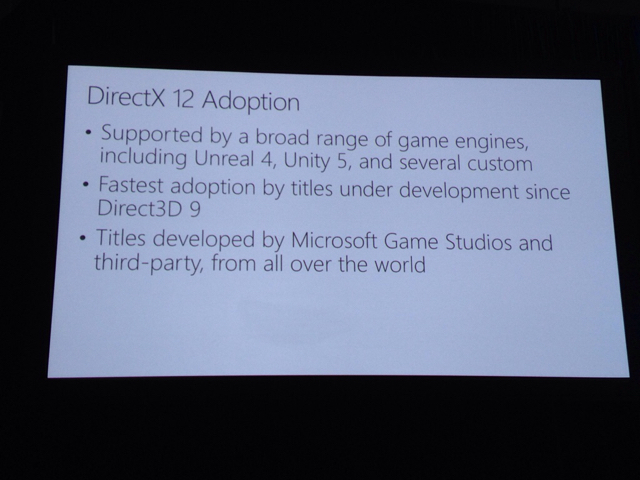 DX12 can further allow several Multi-GPU configuration such as allowing CrossFire and SLI cards to work in harmony and even the VRAM of each GPU available on a PC to be combined and fully utilized. 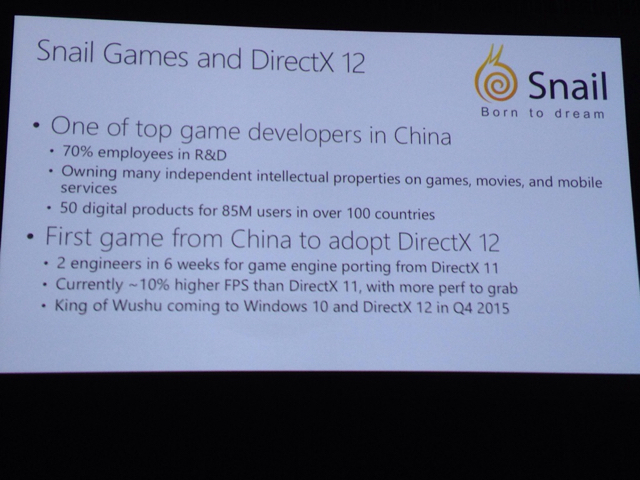 Only time will tell whether game developers and software makers will actually take benefit from the additional and useful technologies which DirectX 12 API will feature. 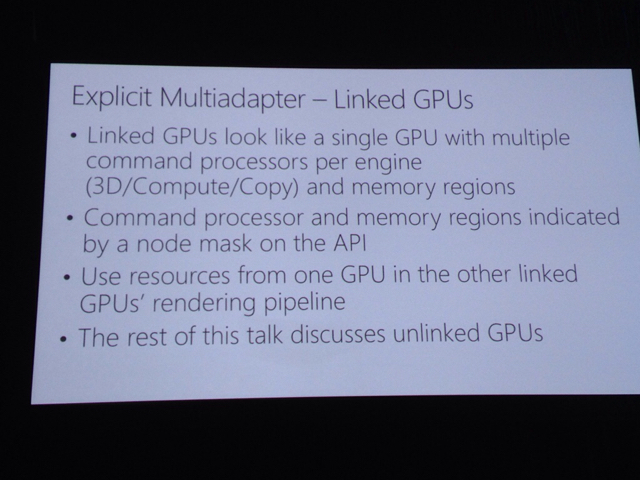 Talking more on the Explicit Multiadapter technology, it is mentioned that it can leverage all the hardware in a system through parallel command generation and execution, independent memory management and can allow multiplie GPU topologies such as Multiple discrete GPUs (Crossfire/SLI) and integrated plus discrete GPUs. This allows more control, more capability, more performance and supports custom load balancing off work offering two distinct API patterns, a Linked GPU pattern and an Unlinked GPU pattern. The linked GPU pattern turns all the cards available on a system to be treated as a single GPU with multiple command processors per engine (3D/Compute/Copy) and memory regions. It utilizes resources from one GPU in the other linked GPU’s rendering pipeline and command processor and memory regions are indicated by a node mask on the API. For unlinked GPUs such as iGPU and discrete class adapters, the pattern allows a coherent path with independent resource management that allows cross-adapter memory transactions and parallel queues with cross adapter synchronization. The last is the Heterogeneous multiadapter that can offload some post processing to the slower integrated GPU allowing the task to be completed fast while the discrete graphics card is used as a primary adapter. This confirms the DirectX 12 memory usage options we were talking about that can combine VRAM across multiple GPUs and it can further allow discrete GPUs to be linked together as a single large GPU with several command processors per engine (SMM and Streaming Engines).